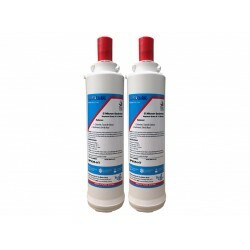 We stock a range of clear water systems replacement filters for under sink drining water systems. These may be refered to as water logic. The most common system is the QVS2000 water filter system. 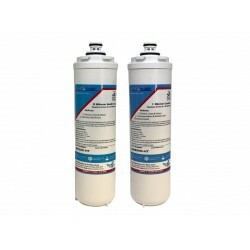 HydROtwist Clear Water Filter Systems Compatible Filter Set suit QVS2000D Twin Under Sink water filter system. This filter replaces Stage 2 Carbon Block Filter which lasts approx 12 months. 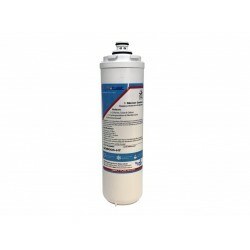 Stage 1: QCB005 Carbon Block Water Filter Effective at removing Taste & Odour, Chlorine, Giard..
HydROtwist Clear Water Filter Systems Compatible Filter Set suit QVS2000D Twin Under Sink water filter system. Comes as a twin pack and require changing every 12 months or sooner. Stage 1: QPS05 Sediment Pre Filter Stage 2: QCB005 Carbon Block Filter These are premium compatible wate..
HydROtwist ClearWater Filter Systems Compatible Filter Set suit New Style QVS2000D Twin Under Sink water filter system. Comes as a twin pack and require changing every 12 months or sooner. Stage 1: QPS05 Sediment Pre Filter Stage 2: QCB005 Carbon Block Filter These are premium compat..